We’re re-releasing The Valet as a mini box!! 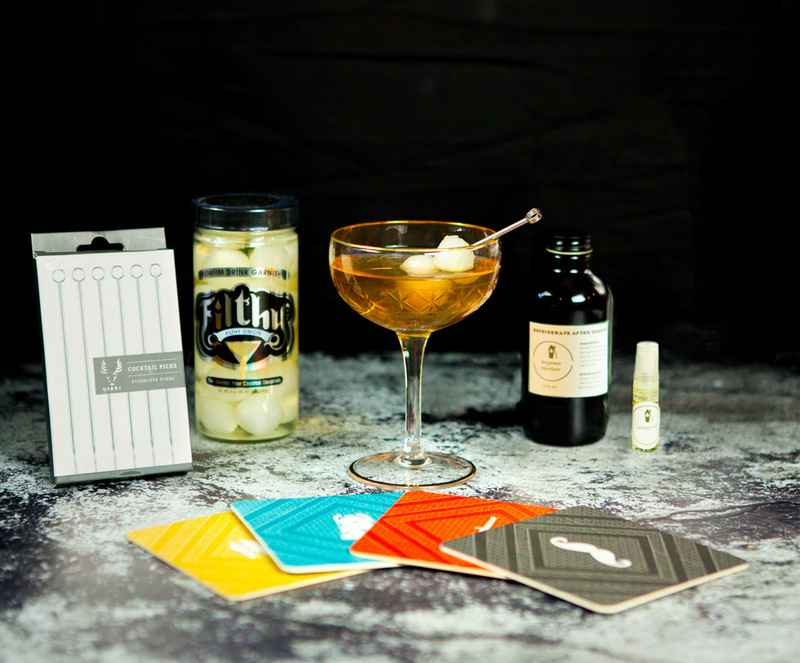 This kit will include everything you need just for The Valet cocktail: our bergamot tea elixir, a large jar of Filthy Onion, stainless steel Viski cocktail picks, a spritzer of lemon oil, and limited edition S&S + Murder on the Orient Express coasters. It’s enough to make 8 cocktails, all you need to add is the gin!